This 1964 Rolex "Pre-Daytona" Chronograph is a beauty. In the days before the Daytona the numbers that are on the Daytona bezel were on the dial as seen here. 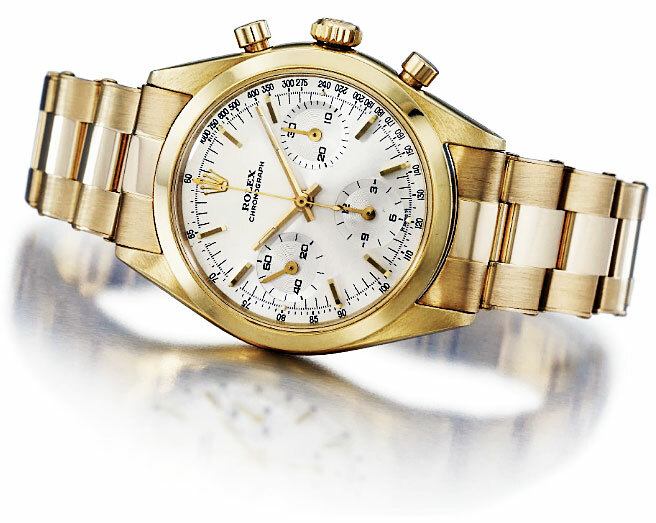 Also this watch had the designation of "Rolex Chronograph", whereas with the Rolex Daytona, Rolex created a new word when the began calling it "Rolex Cosmograph." This watch was sold by Christie's Action house for $173,088.